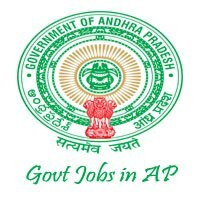 APSPDCL Jobs Recruitment Notification 2019.Andhra Pradesh Southern Power Distribution Company Limited inviting applications for the positions of Assistant Engineer vacancies in electrical disciplines.Interested and Eligible candidates can apply for the positions. 20 empty positions of assistant engineer (electrical) are to be filled in Southern Power Distribution Company of AP Limited. Both men and women can apply. 70% of the vacancies will be filled by direct recruitment which are reserved for local candidates in respect of assistant engineer (Now re-designed as assistant executive engineer) . 30% vacancies will be filled by both local and non local contenders. Contenders those who pursued BE/ B.Tech/ AMIE in electrical and electronics engineering or any other equivalent qualification in relevant discipline from any recognized university can apply. If you are one of the job seekers to apply for APSPDCL AE Vacancies, then your age should not be less than 18 years and not more than 42 years. The upper age relaxation for SC/ST candidates is 05 years. 10 years age relaxation for PH participants. APSPDCL Assistant Engineer Recruitment of eligible persons will be done purely on their results in WRITTEN EXAMINATION. Apply for APSPDCL Assistant Engineer Recruitment 2019 through ONLINE mode. From 26th March 2019 to 25th April 2019 the online portal link will be active. Then click on the required notification. If eligible, with your valid logins click on the “Apply Online” button. Once again verify the entered details.